If you have donated blood or had it drawn for medical tests, you have met a phlebotomist. 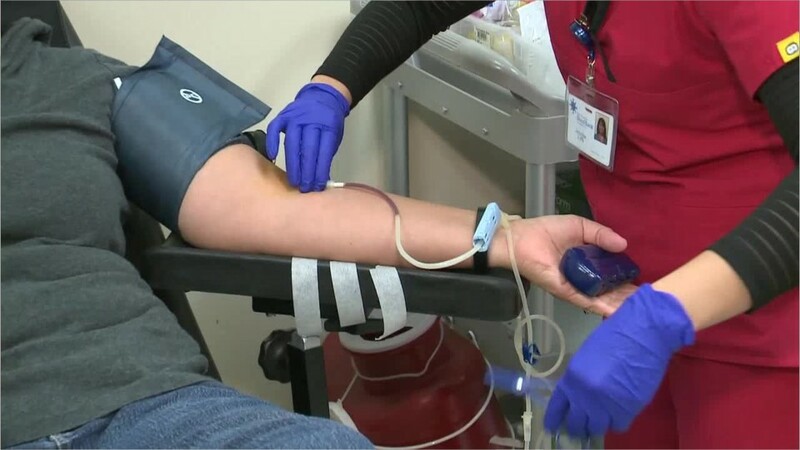 Phlebotomists draw blood for tests, transfusions, research, or blood donations. They talk with patients and donors to calm them, and help patients recover if needed. Phlebotomists also keep detailed records. They confirm a patient or donor’s identity, label drawn blood for testing or processing, and enter patient information into a database. They assemble and maintain medical instruments such as needles, test tubes, and blood vials. To avoid causing infection or other complications, phlebotomists must keep their work area and instruments clean and sanitary. Patients appreciate a successful first attempt when having their blood drawn, so phlebotomists work skillfully to maintain patients’ comfort and confidence. Phlebotomists work mainly in hospitals, medical and diagnostic laboratories, blood donor centers, and doctor’s offices. Most phlebotomists work full time, and may work on nights, weekends, and holidays depending on the setting. Most phlebotomists take a short technical training program and then test to become certified. Phlebotomists must be certified to work in some states. See more details at O*NET OnLine about phlebotomists. Phlebotomists by U.S. Department of Labor, Employment and Training Administration is licensed under a Creative Commons Attribution 4.0 International License.